The first thing you should do is talk to the dental team about your fears. They don’t know how you feel unless you tell them. They can take steps to help you through your appointment. Another thing to do is to create a stop signal. Since you might need a break at times, you can tell the dental care team that when you hold up your hand, for instance, you need to stop. They will certainly understand and do what they can to make you comfortable. You should also talk to the dental team about any questions you might have. This will help you to be more comfortable with them, and it helps to establish trust. Often times, when they explain what they are doing, it can help people with fear feel better. Deep breathing, meditating, and visualization are all great methods to help you relax before an appointment. You should also schedule an appointment in the morning so that you are not dwelling on it all day. Finally, it’s important that you keep your regular appointments every six months. 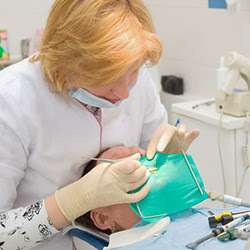 This helps to ensure only minor dental work is needed, and the more you go, the better you will feel about it. It also gives you the chance to get to know the staff and become familiar with the office, both of which can help you feel more comfortable. If you need a gentle dentist, contact the team at Northalsted Dental Spa near Rogers Park. You can learn more online at https://www.northalstedsmiles.com/.